Home / News / Opinion / Sonza to Vice Ganda: "Narinig mo ba? Type pala niya ang iyong most beloved basketball superstar ng bansa"
Sonza to Vice Ganda: "Narinig mo ba? Type pala niya ang iyong most beloved basketball superstar ng bansa"
Amid the major controversy that hits worldwide headlines following the wild fight that happened between Team Philippines and Team Australia at the FIBA qualifying round, Terrence Romeo, one of the players of Gilas Pilipinas appears to have discovered support from fans and netizens and that includes the famous talk show host and actress, Kris Aquino. 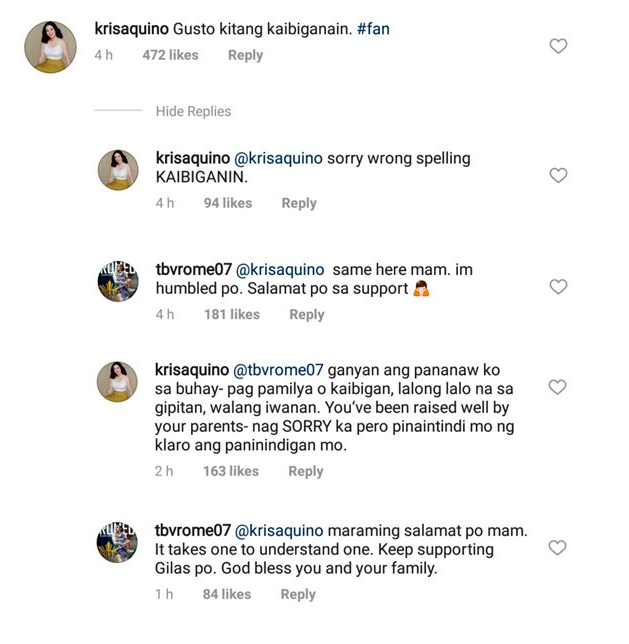 In an Instagram post of Romeo wherein he apologized to the country and to the Australians for what happened, Aquino took the time to remark and communicated her support for the basketball player. 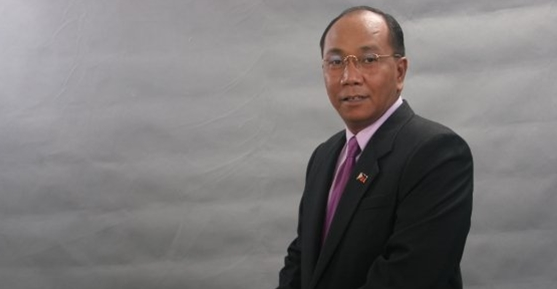 Aquino then initiated the conversation through a comment on Romeo's Instagram post containing his announcement about the fight, in which he apologized to the supporters of Gilas for what happened. Kris wrote and said that she wants to be friends with the basketball star in which the latter replied and offered his thanks to the actress. 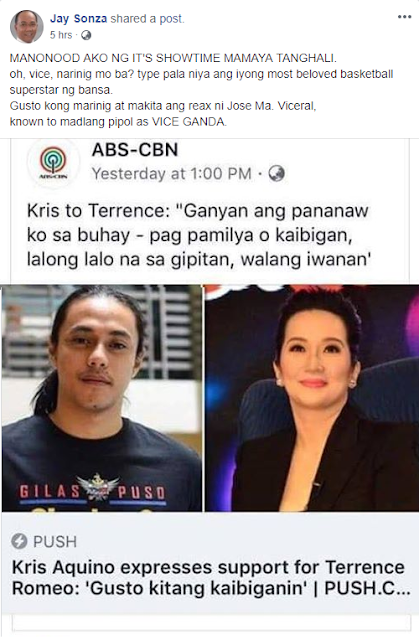 "Gusto kitang kaibiganin," Kris wrote. Romeo then answered and posted, "same here ma'am. I'm humbled po. Salamat sa support po." Aquino again posted another comment saying she and Terrence share a similar principle with regards to securing family and companions. "Ganyan ang pananaw ko sa buhay - pag pamilya o kaibigan, lalong lalo na sa gipitan, walang iwanan. You've been raised well by your parents - nag sorry ka pero pinaintindi mo ng klaro ang paninindigan mo," the actress said. And in response, Romeo thanked Aquino and wrote that it actually takes one to comprehend one and that he hopes the actress will continue to support the Philippine Team. "Maraming salamat po ma'am. It takes one to understand one. Keep supporting Gilas po. God bless you and your family. ", Romeo wrote. This exchange of comments from Aquino and Romeo brought fuss all over the internet that made the netizens react, including the veteran broadcaster and former TV host, Jay Sonza. Sonza who is known for being fearless in speaking his mind in various national issues, posted on his Facebook timeline and shared a news from ABS-CBN that featured Romeo and Aquino, where the latter expressed support to the basketball player. 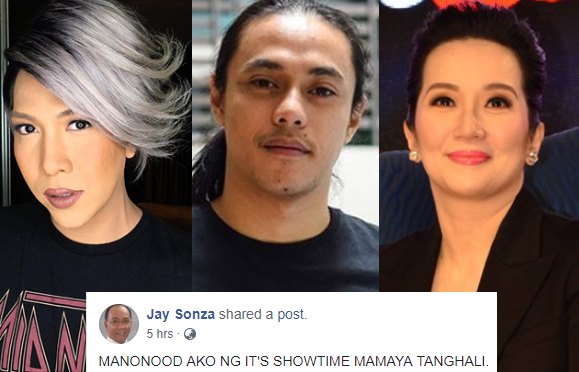 On the said post, Sonza wrote that he is going to watch the noontime variety show "It's Showtime" to see the reaction of one of the show's hosts and popular comedian, Jose Ma. Viceral, most commonly known as Vice Ganda. Sonza then addressed his post to the comedian and asked the latter if he already heard the issue between Aquino and Romeo and posted "oh, vice, narinig mo ba? type pala niya ang iyong most beloved basketball superstar ng bansa." "MANONOOD AKO NG IT'S SHOWTIME MAMAYA TANGHALI. oh, vice, narinig mo ba? type pala niya ang iyong most beloved basketball superstar ng bansa. known to madlang pipol as VICE GANDA."